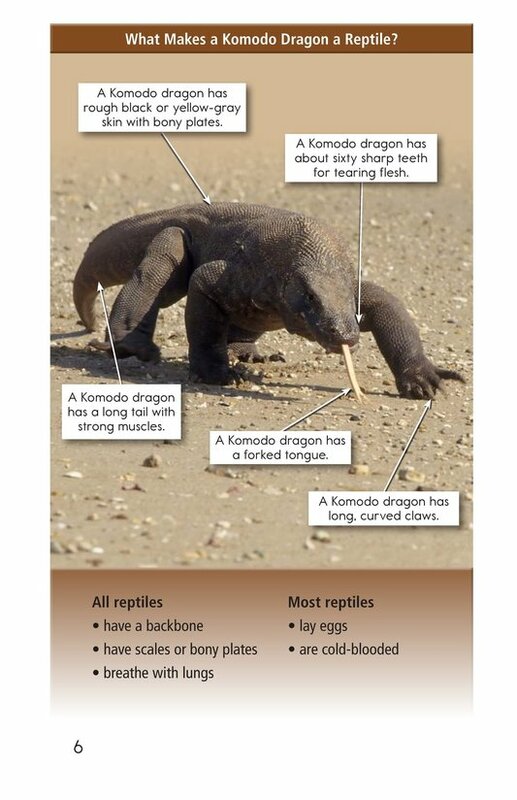 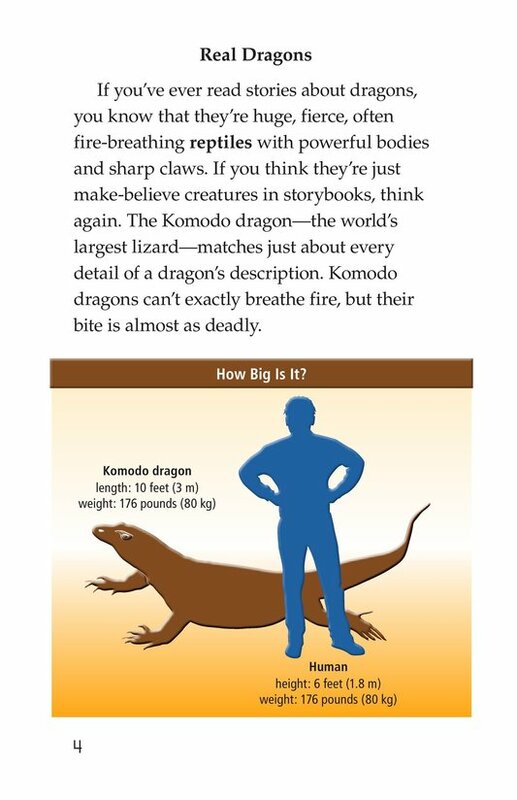 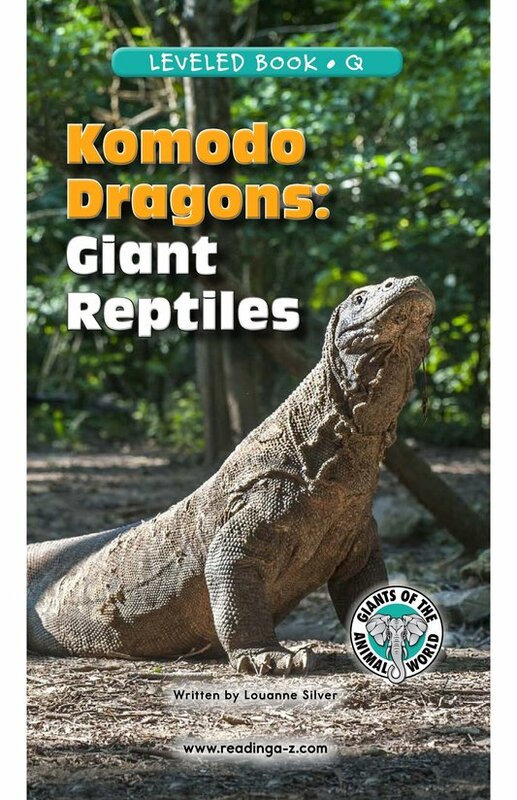 Komodo Dragons: Giant Reptiles will take students into the would of these huge lizards. 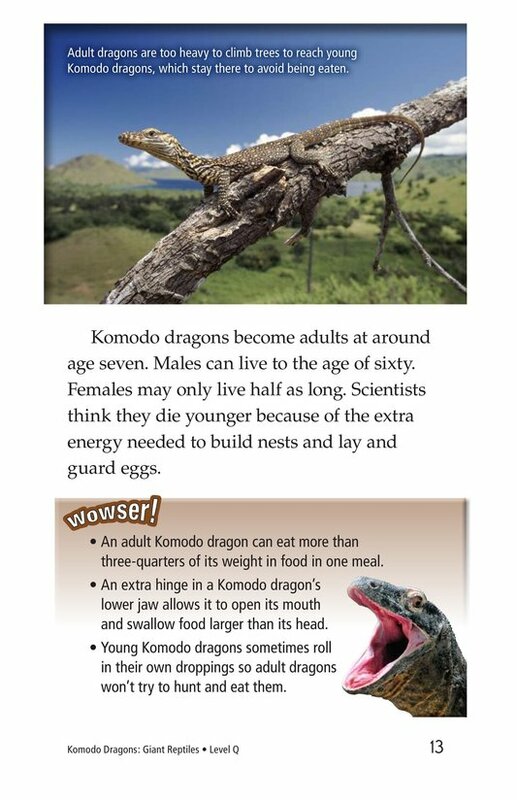 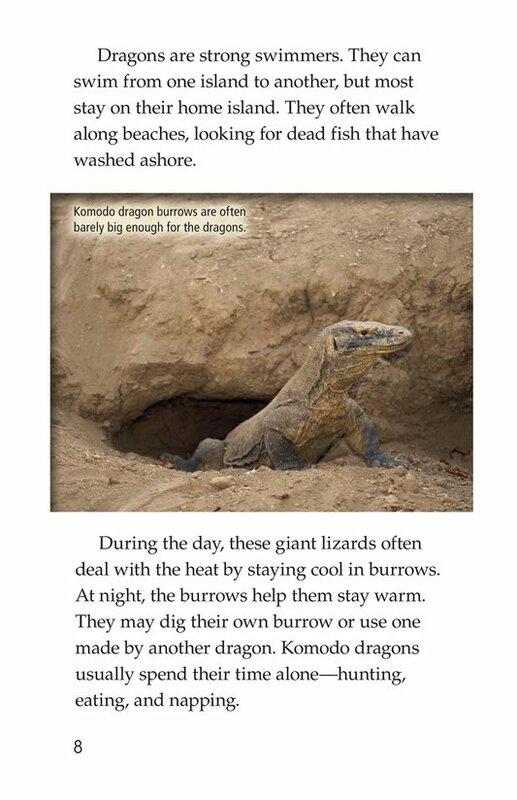 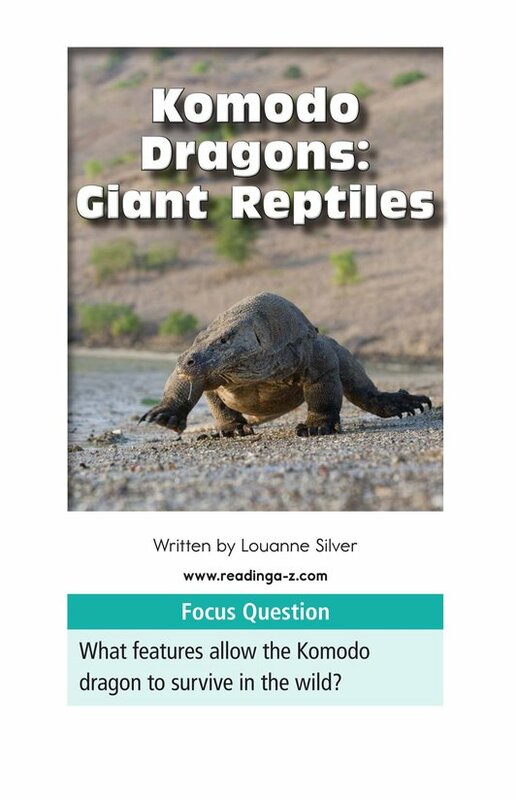 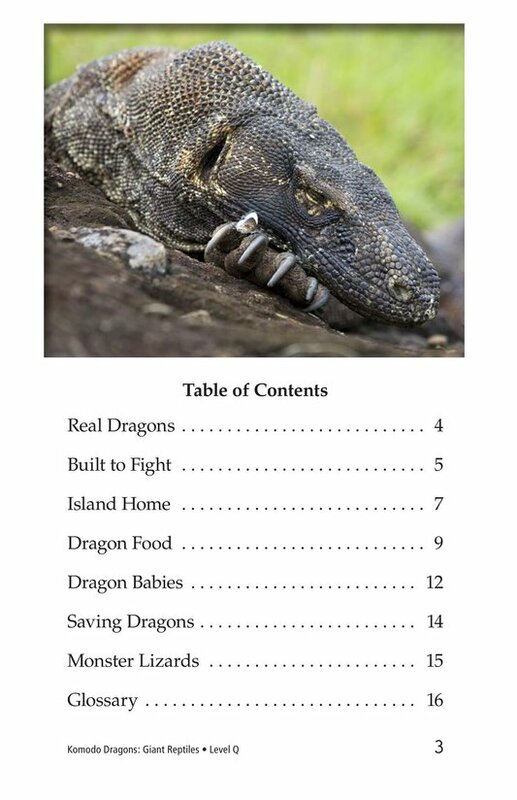 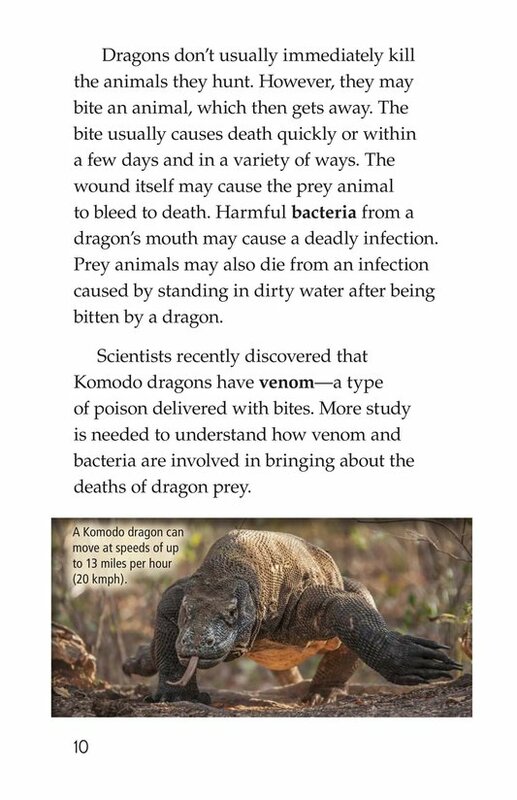 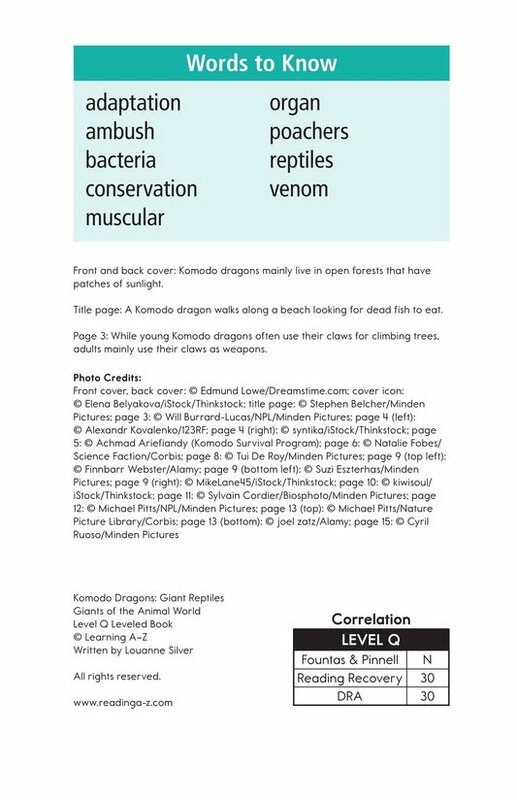 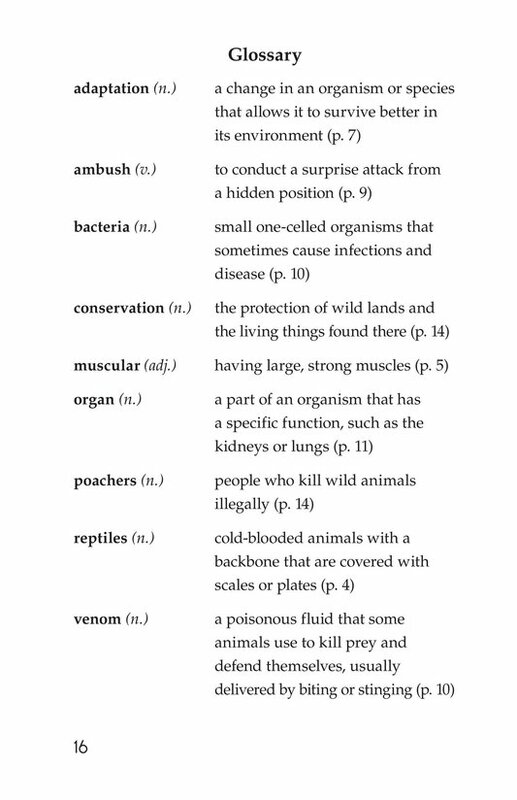 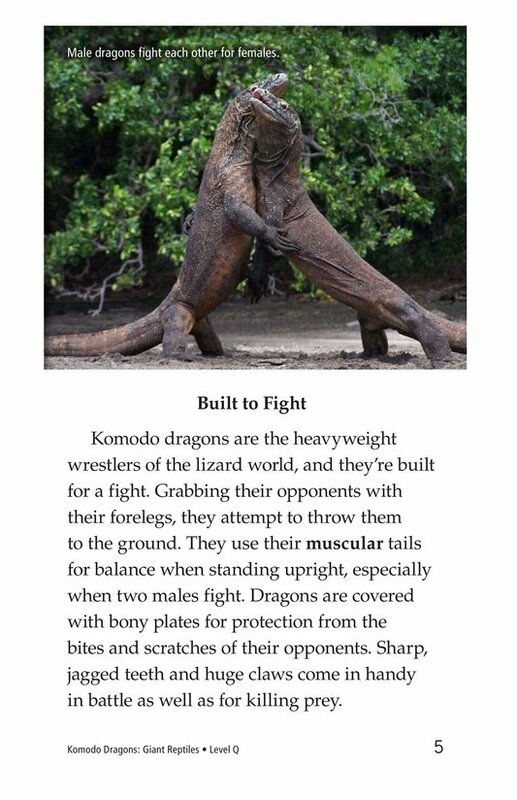 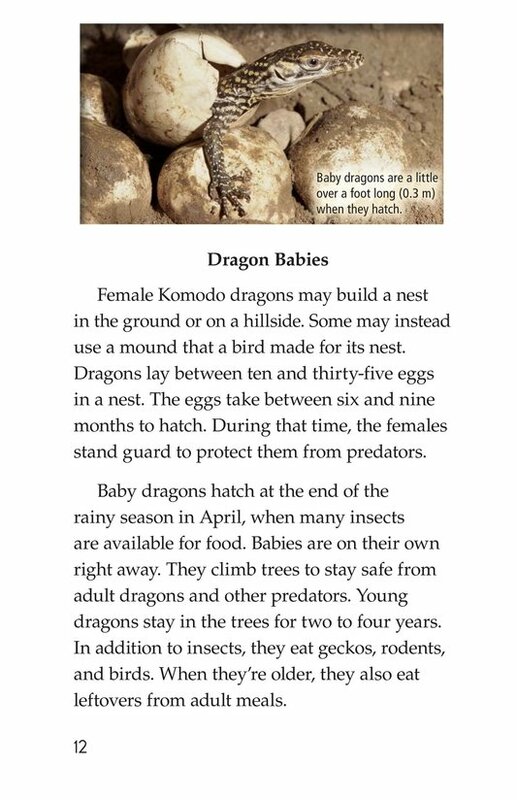 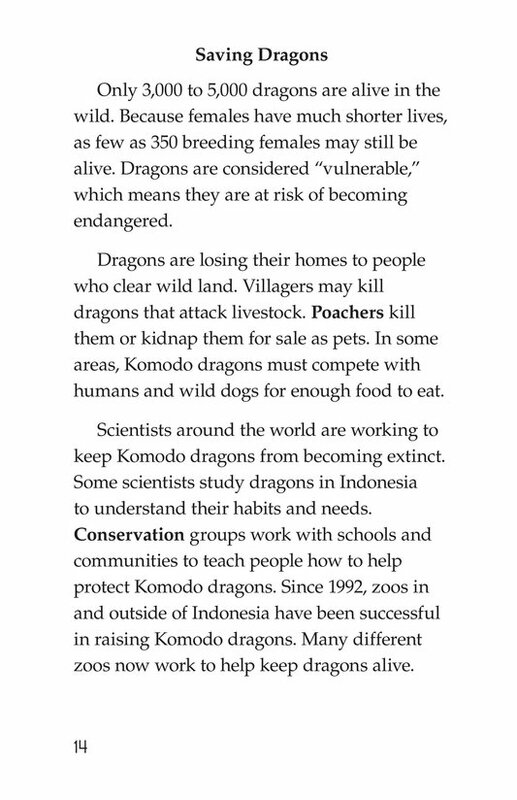 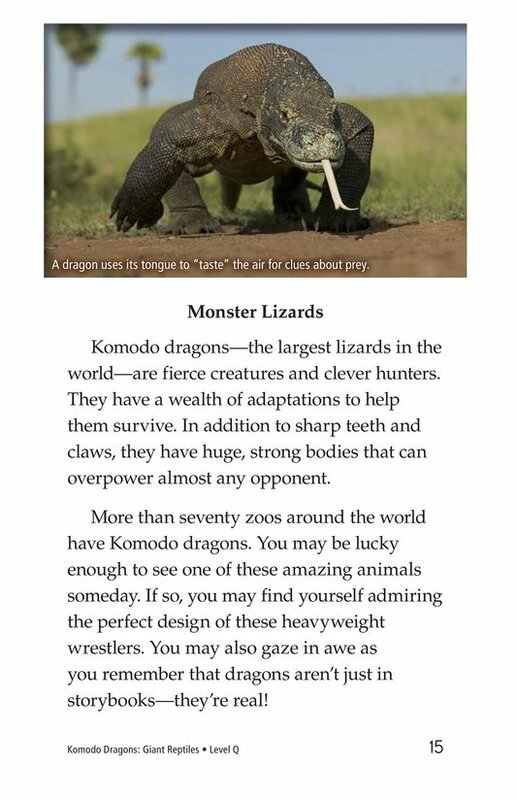 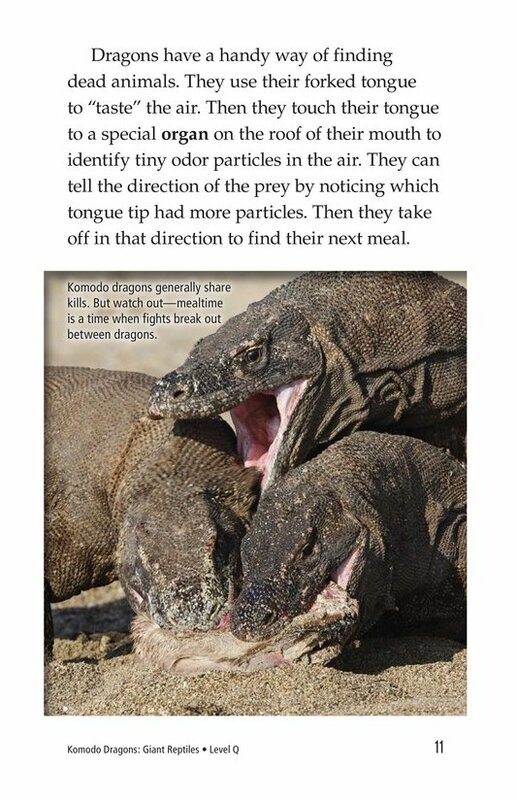 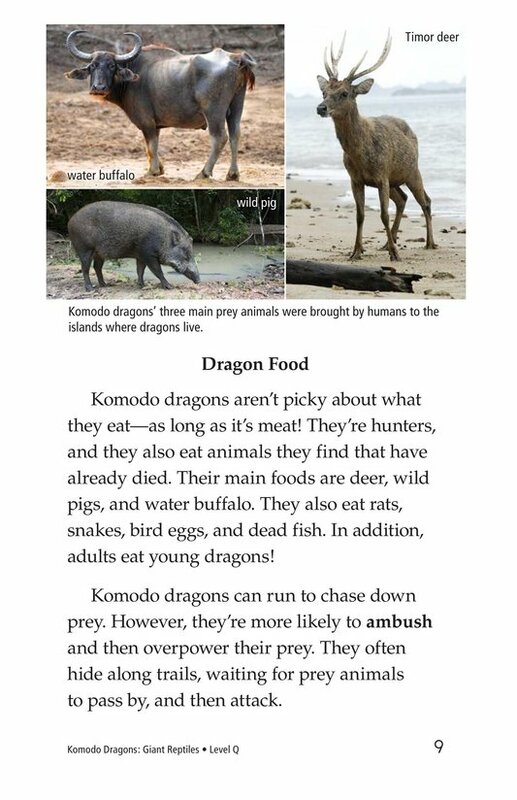 Students will learn about their habitat and offspring as well as the challenges Komodo dragons face. 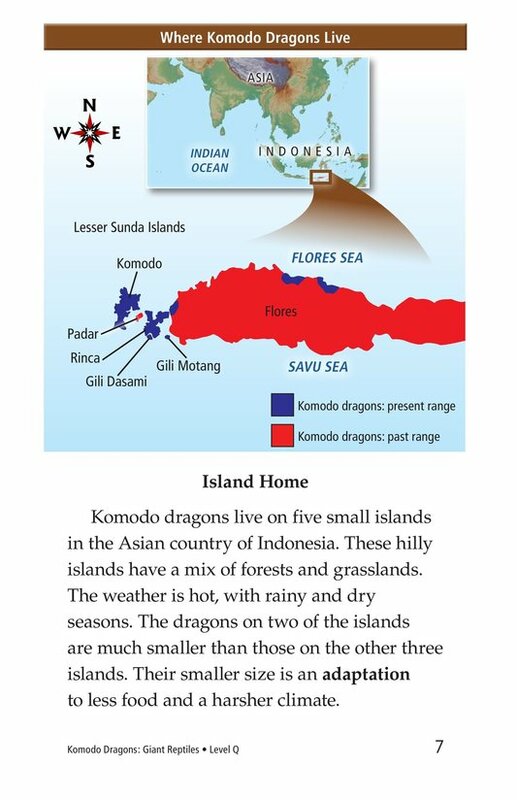 Vibrant picutres support the text.